For Christian believers Holy Week, the last week of Jesus Christ’s life on earth, culminates with the celebration of his resurrection from the dead. During the same time, Jews are preparing for the start of Passover, the 8-day festival which begins this year today at Sundown on Friday, March 30 and ends on the evening of April 7. Passover, also known as Pesach, commemorates the Jewish exodus from Egypt, as families traditionally gather for a Seder dinner, where they retell the story of the escape from slavery, through the plagues, and to the parting of the Red Sea. 7 Get rid of the old “yeast” by removing this wicked person from among you. Then you will be like a fresh batch of dough made without yeast, which is what you really are. Christ, our Passover Lamb, has been sacrificed for us. 8 So let us celebrate the festival, not with the old bread of wickedness and evil, but with the new bread of sincerity and truth. Battered and bruised for our iniquity. Offered once, Jesus Christ, our Passover. Lay on Him the chastisement of our peace. Man of sorrows, with His stripes we are healed. Quickened, cleansed in spirit, body, and soul. By means of this remarkable exchange, God replaces the righteousness of humanity, which is but “filthy rags” with the righteousness of God through faith in Jesus Christ. 10 But, if Christ is in you, although the body is dead because of sin, the spirit is life because of righteousness. 11 Moreover, if the spirit of him who raised Jesus out from among the dead lives in you, he who raised Christ Jesus out from among the dead will also give life to your mortal bodies through his spirit that dwells in you. This is how we know that we abide in him and he in us because he has given us of his spirit. Prior to Jesus Christ, failure to keep the Law of the Old Covenant resulted in experiencing the “curse of the law.” On the other hand, the new covenant mediated through Christ Jesus provided remission of sins and positioned believers to stand before God clothed in righteousness by the grace of God, to stand boldly before His presence with no sense of sin, guilt, shame nor condemnation. old things are passed away; behold, all things are made new. Arise to a new place–all things have been shifted. Even in your darkness I have always been there. In a place where love abounds and peace never ends. We walk together, hand in hand as faithful friends. We walk together hand: in hand as faithful friends. Each year Christians across the globe celebrate the resurrection of Jesus Christ following his crucifixion on Easter or Resurrection Sunday. Known as a “movable feast,” this commemoration always takes place on a Sunday, but each year that actual date varies based on calculations related to the settings of the moon. Most amazingly this year, Easter or “Resurrection Sunday”, occurs on April 1 or April Fools’ Day. While some may say the occurrence is odd, others say the connection is most appropriate. 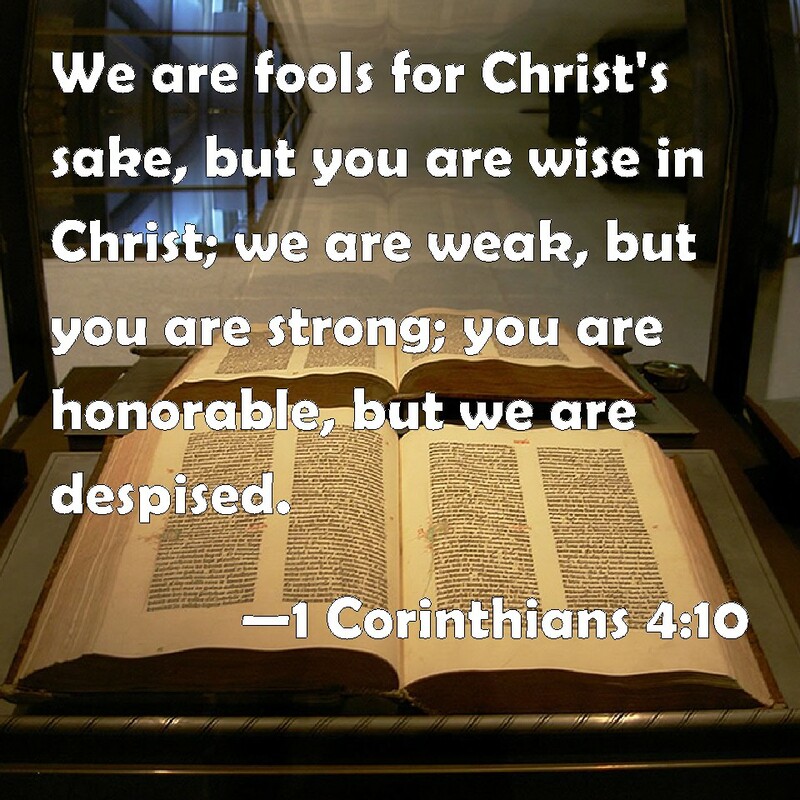 With this situation we note the distinction between the ways of men who purport themselves to be wise, and the ways of God who uses foolishness to confound the wise. Indeed, in the eyes of the world, the cross of Jesus Christ does not make sense; it is pure foolishness to the human mind. Those who believe the message of the cross are the biggest fools on earth, so unbelievers say. The overall message makes known Jesus Christ’s mighty triumph over his foes– sin, every disease and its devastating consequences–even death itself. This demonstration of the power and the wisdom of God makes celebrating the resurrection on April Fools’ Day even more meaningful. What does it mean to confess our sins to him? I learned this firsthand in a very graphic way when late one night after getting off from work, I was accosted by a man who demanded that I give him my wallet. As I reluctantly complied, do you think I loved giving him my wallet? Nonetheless, I complied with his demand that I “give.” As I recall, when I went to my car, hurt and humiliated, I prayed and asked God to forgive the man who was in such desperate straits that he resorted to robbery. Today’s post focuses on some of the references to “crowns” found in the Bible. Translated from the Greek word stephanos, the word crown relates to the symbol of victory given to athletes in the Greek games, such as the Olympics or other contests, where winners are honored or crowned with laurel leaves or olive branches. This reference to “the crown of glory” is one of five different crowns mentioned in the New Testament. 24 Do you not know that in a race the runners all compete, but only one receives the prize? Run in such a way that you may win it. 25 Athletes exercise self-control in all things; they do it to receive a perishable wreath, but we an imperishable one. The apostle Paul looked forward to a “crown of joy” or a “crown of rejoicing” to be enjoyed in the resurrection when he is reunited with fellow believers whom he led to the Lord and taught and served. 7 I have fought the good fight, I have finished the race, I have kept the faith. 8 From now on there is reserved for me the crown of righteousness, which the Lord, the righteous judge, will give me on that day, and not only to me but also to all who have longed for his appearing. Blessed is the man that endures temptation: for when he is tried, he shall receive the crown of life, which the Lord hath promised to them that love him. As part of the benediction that closes out the first epistle to the Thessalonians, the verse reminds us that believers are tri-dimensional beings with a body —the physical dimension–as well as a soul—the mental or emotional aspects of our being, along with the spiritual components—having been created in the image of God. . This morning I recognized the importance of having a sound mind and being able to process whole thoughts and to recall information needed to complete a particular task. As I was preparing today’s blog post, I thought of a particular poem that I thought would be appropriate for the discussion. I went to retrieve it from a file of collected poetry, but it was not there. I knew that it was somewhere on a flash drive that I was using, but I couldn’t pinpoint the location. “Out of the blue,” the name of another of collection of poetry flashed across my mind, and I went on to locate the piece I was searching for. This familiar passages echoes the truths expressed in the First Psalm, one of my favorite psalms. I have tasted your goodness and put my trust in you. Who strengthens my soul when I feel I cannot cope. From deep waters you bless and refresh and make new. Love and joy never diminish, only increase. Bring forth even in the midst of turmoil and strife. As fruit of the spirit abounds beyond all we see. The boundless bounty of this vibrant garden scene. A personal metaphor often used to describe my life is “a garden,” a place where the fruit of the spirit should so abound that those whom I encounter will partake of bounty of my life and be nourished and refreshed by my fruitfulness. The bounty of living seventy-five years.